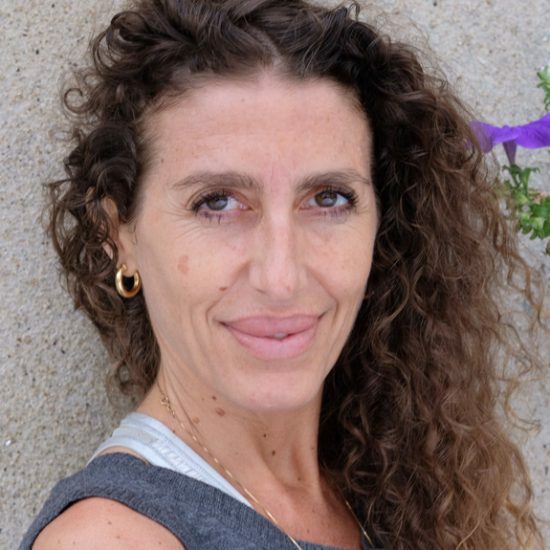 Kara Sekuler has been a student of Alan’s for over 20 years and was one of the original Trainers of the ISHTA Yoga Teacher Training. 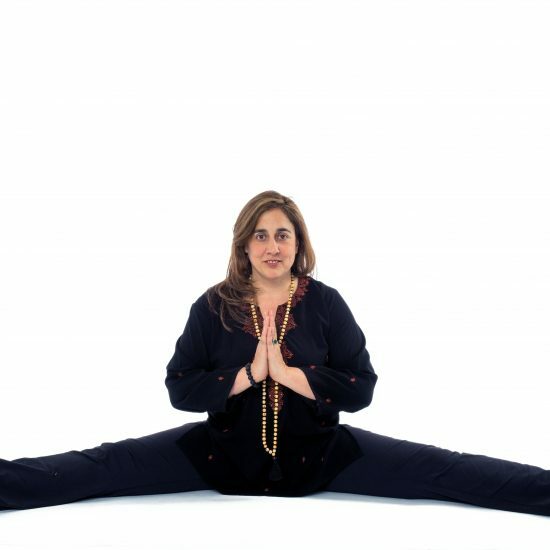 As an ambassador of the lineage, Kara has been an integral thread to the fabric of ISHTA, and her teaching has influenced many of the current Senior and Yogiraj teachers at the studio today. Although Kara is retiring from teaching group classes, she has left an indelible mark on the ISHTA teachings and continues to be a beloved part of our ISHTA family. Thank you, Kara, for your heart, your authenticity, your humility and your humor. You have taught us all how to live our yoga through the way that you live yours. We would not be who we are today without you. “When I did my ISHTA Teacher Training Kara was one of the four main trainers at what was then called Be Yoga. I assisted Kara’s Tuesday lunch class on 56th street. We would both take Al’s class, then hang out together and then I would assist her lunch class. Kara has an “amazing eye” when it comes to asana combined with her in-depth knowledge of anatomy. She has always been able to see asana postures in a deeper way. Over the years she has helped me correct misalignments in my asana practice and in my body that I have often been completely unaware of. “I was fortunate in my earlier years of teaching to have a class right after one of Kara’s classes at the old Eastside studio (now YogaWorks). She always praised my teaching and made me feel like I knew what I was doing. When I think back on it, I realize how incredibly helpful her positive feedback was as I moved through those first years of teaching, which included so many doubts and questions. As a teacher, Kara had the gift to lead me gracefully toward the deep end of the pool—remaining calm and steady amidst the aspects of practice that I so often approach with grunts and groans. Most of all, it is clear that she is dedicated to this great thing we teachers and students are trying to do – bringing yoga to life. But the biggest inspiration is her authenticity. Kara WALKS the TALK! And I do not think I ever teach a class without bringing her name up and crediting her with the now famous quote in many ISHTA classes “Never Assume”. Cindy: When did you start practicing Yoga? Kara: I found a book on Yoga in my house in Milwaukee and my parents always did Yoga, having gone to a course at the University of Milwaukee. They were always very active. But, I got serious about Yoga when Yoga Zone opened up on East 56th street . I was passing by one day and back then there were no Yoga studios around, so I went up and NEVER left! Cindy: How did you meet Alan? Kara: Well I was taking private sessions with Lisa Bennet at the time and it happened that there were only a few teachers at (Yoga Zone). One of the oldest teachers had had an accident, so they needed another teacher and Lisa asked if I was interested. She, at that time, introduced me to Al and taught me how to teach a class methodically! I remember the night before having to teach my first class I was hysterical. I called Lisa and she persuaded me that I could. Al always, reminded me of my father, so the connection with a Jewish Yogi was easy and made sense. I really liked him. He was doing his first teacher training at the time. Some classes were at 56th street and others at his house in Irvington. There was NO book with about 6-8 students. As I had studied Anatomy and Movement in college, continuing with Yoga and teaching all made sense. Oh, I think we may have just had an anatomy-coloring book at the time. Al would just lecture and talk about what he wanted us to know and we would continue to make trips back and forth to his home. Cindy: How did your Dance fit in? Kara: Since I knew how to teach dance/Ballet the yoga seemed more natural and it was time for a change. I had also been teaching exercise which did not have enough “guts” to it, so I started to follow the yoga path. People used to ask me if I miss dancing and my answer to that is NO. My yoga practice really fills it all. Cindy: What inspires you about the ISHTA teachings? Kara: You could bring your own feelings to the practice and discuss the teachings with Al. He allowed you to teach with your interpretation as long as it followed the teachings that He was passing down. 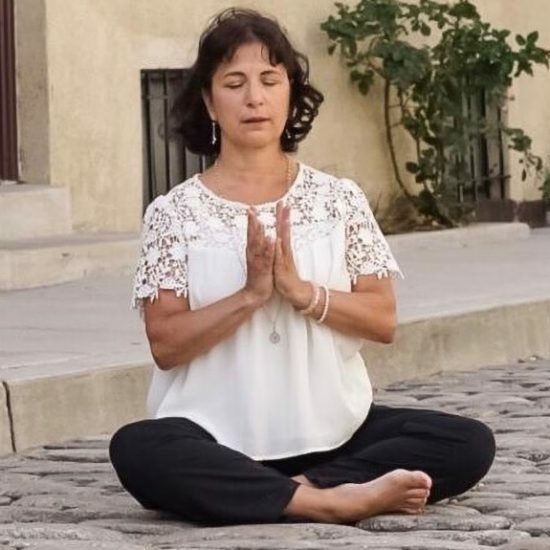 Cindy: What do you think about all the teachers Like Mona, and Sarah that were your students that now have had such success in the Yoga world? Kara: I feel proud. Mona would always go to India and bring me back gifts, which was always such a lovely way of showing her appreciation for me as her teacher. Cindy: What is your favorite part of teaching teachers? Cindy: What’s your favorite Yoga pose? Kara: Warrior 2 because if you can stand up, which mostly everyone can do (assuming no injuries) and you are just starting your yoga practice/path it is encouraging to a beginner and it is a strong pose that allows you to feel grounded. Structure and Freedom! Cindy: Do you remember me in your yoga classes on east 56th street almost 17 years ago? Kara: YES! I was very interested in you and seeing how you were so engaged in your practice. Then, one day I said to you “I need a friend to go with me to a doctor appointment and you said to me ‘I am your friend and I would be happy to go with you’”.